Target Decides it Won’t Carry Ocean's "Channel Orange"
Ocean's album is expected to be a huge seller, but Target won't put it on their shelves. 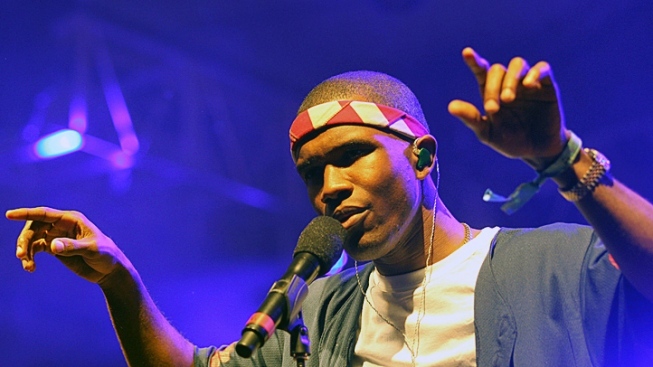 Target stores chose not to carry Frank Ocean’s upcoming album “Channel Orange” this week, a week after Ocean revealed his first love was a man on his Tumblr. A situation ensued as the R&B sensation’s manager, Christian Clancy, accused the enormous retail chain of bias towards the singer. "Interesting since they also donate to non-equal rights organizations,” Clancy tweeted, but later deleted. Target was quick to snap back, telling Billboard that since the album is already available via iTunes, a week before its scheduled release, they saw no reason to carry it. They also said Ocean’s decision to out himself had nothing to do with why the album isn’t on their shelves. "Target has a longstanding tradition of supporting music and artistry that reflects the diverse landscape of American culture,” a rep from Target told Billboard. “Our history of partnering with diverse artists includes recent partnerships with a variety of musicians, such as Ricky Martin, B.o.B., and Gloria Estefan." In spite of the drama around “Channel Orange,” the album is expected to be in the #2 spot on iTunes by next week, with sales expected to be in the 100,000 to 120,000 range.